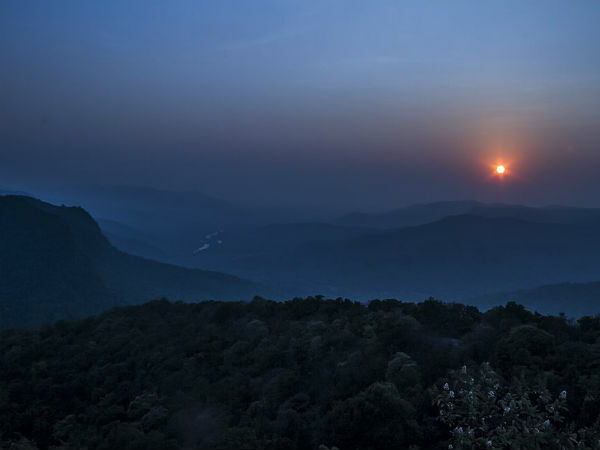 Surrounded by thick forests and towering hills that nurture the best of flora and fauna, Sirsi is a beautiful city in the Uttara Kannada district of Karnataka and is a popular weekend destination amongst locals. But do you know this mesmerising city is capable of becoming one of the most popular places in the state? Yes, it is home to valleys, temples, pilgrimage sites, waterfalls and ancient monuments. So, don't you think it deserves to be explored by every traveller? In the Medieval Period of India, Sirsi was called Kalyanapattana when it was under the reign of the Sonda dynasty. Today, it is a peaceful city which has in store a lot of historical as well as natural wonders. Following is the list of major places that must be visited while in and around Sirsi. Dedicated to Goddess Durga, Marikamba Temple is one of the most visited places in Sirsi. It was built in the late 17th century, therefore, it is of great religious as well as historical significance. The idol of Goddess Durga placed inside the temple has eight arms and is called Renuka and Yellamma by locals. During the chariot procession of this beautiful temple in the month of February, tourists and Hindu devotees throng to the temple in thousands. An annual fair is also held during this festival which is attended by people from all over the district. Also known as Keppa Joga, Unchalli Falls is located on the outskirts of Sirsi amid beautiful dense forests and rich vegetation. Therefore, it has become a popular weekend getaway over a period of time. If you are looking forward to escaping the hustle and bustle of the city, then you must visit Unchalli Falls. Gushing down the height of more than 380 feet, this enchanting beauty is located on Aghanashini river. If you love capturing the captivating beauty of nature, then you cannot find a better place in Sirsi other than Unchalli Falls. So, do not miss visiting this charming fall while in and around Sirsi. Would you love to witness the artistry of the bygone era? If yes, then add Sahasralinga to your bucket list. It is the place where you can find about one thousand shivalingas carved on rocks. All of these rocks are placed in the course of Shalmala river. As per local legends, it is believed that these carvings were made by a local who was the biggest devotee of Lord Shiva. However, as per historical records, it is said that these shivalingas were carved during the 17th century on the orders of Sadashiva Ray Varma, who was the king of the ruling dynasty. Sodhe is a historical place near Sirsi and should be explored by every history lover. It is the place where you can spot rock art dating back to the prehistoric times. These beautiful patterns and designed marked over rocks certainly showcase how art flourished over a period of time. As it was once under the rule of the Marathas, the Vijayanagara Empire and the Kingdom of Mysore, you can also witness several ancient monuments here. Even though these age-old beauties are lying in ruins, they still have a lot to narrate to its visitors. So, how about getting yourself to such amazing destination? Banavasi is a temple town at a distance of about 23 km from Sirsi. The major reason one must plan a tour of this beautiful town lies in its historical significance. Would you believe if we say it is the oldest-living town in the entire state? Yes, Banavasi is said to have been established in the 4th century when it was the capital of the Kadamba dynasty. Today, the town is home to several centuries-old temples and some of the oldest monuments. The most prominent ones include Madhukeshwara Temple. As it is surrounded by beautiful farms and green vegetation, it makes for a relaxing getaway.